The Fellowship was fortunate enough to obtain a copy of HAVOC BRIGADE trade paperback from Studio 407. Neal Marshall Stevens writes and Jon Bosco draws. 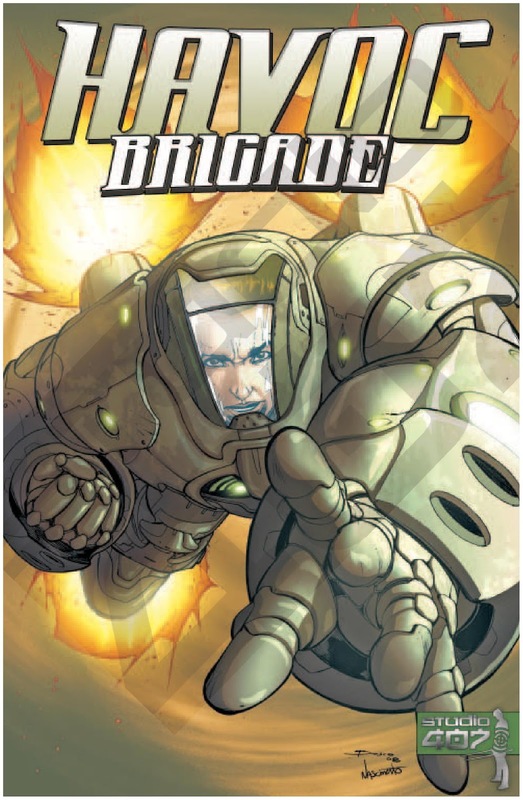 The Havoc Brigade operates an experimental set of powered suits of armor, very powerful and almost invulnerable. It’s done well in the test runs, but when it comes down to it, the brass pulls the plug on the project. But Major Jackson doesn't give up that easily. And he’s planning to put Corporal Barnes through a series of tests to prepare him. But for what? This is a four-issue trade paperback completing a story arc. For what starts out as a pretty standard military story, there are some surprising twists here. And this book is good enough that I don’t want to give too much away. It’s not just shooting and explosions; there’s some realistic strategizing going on here. The characters aren’t just dumb grunts; they really think about what they’re doing. Anyone who’s even halfway into military sci-fi will enjoy this book. And I really think that this would make a good intro to it for those who aren’t. The story is compelling and well thought out. 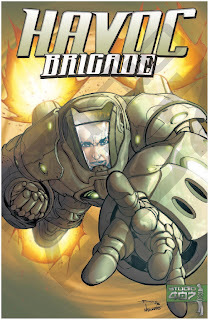 HAVOC BRIGADE is available now at www.comiXology.com or from www.studio-407.com.